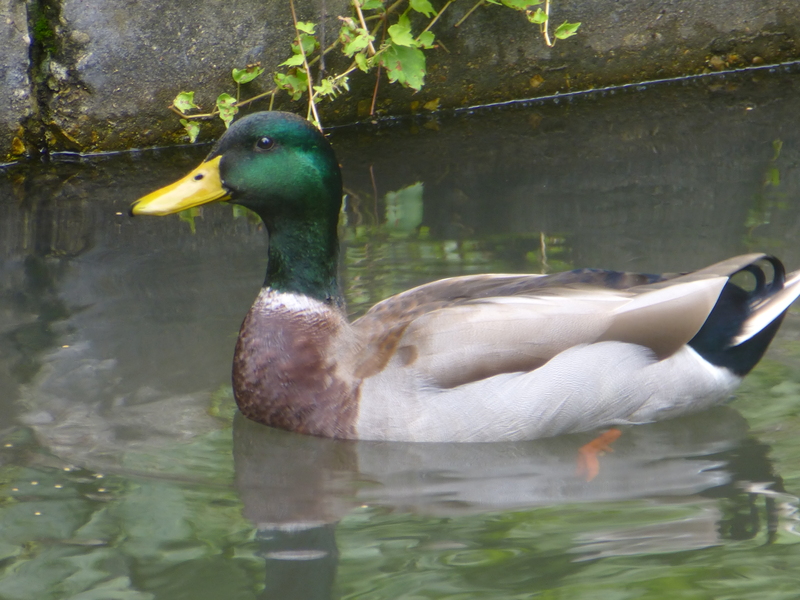 Well, the ducks are largely here these past few days, although on Saturday they were both gone in the morning but both appeared by 10:30. I have no idea where they went, which is a great mystery. And I have no idea when they’ll leave for good, though I’m fattening them up for the Big Migration. The koi have gotten big and aggressive, though there are parts of the pond where they will not go. 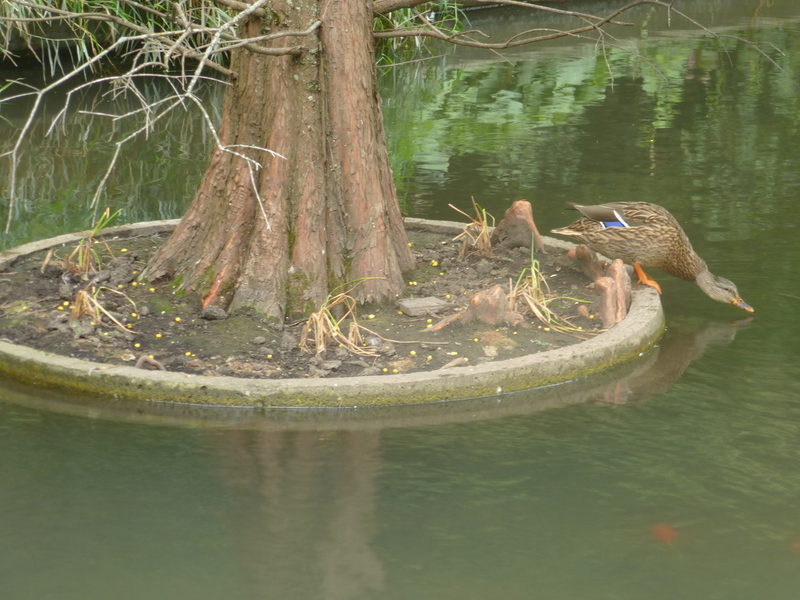 Their rapacious feeding, shown here, sometimes disturbs the ducks, who don’t like their feet messed with when dining. I am not sure whether the darker fish are young koi or something like Gambusia. Perhaps a reader can weigh in. 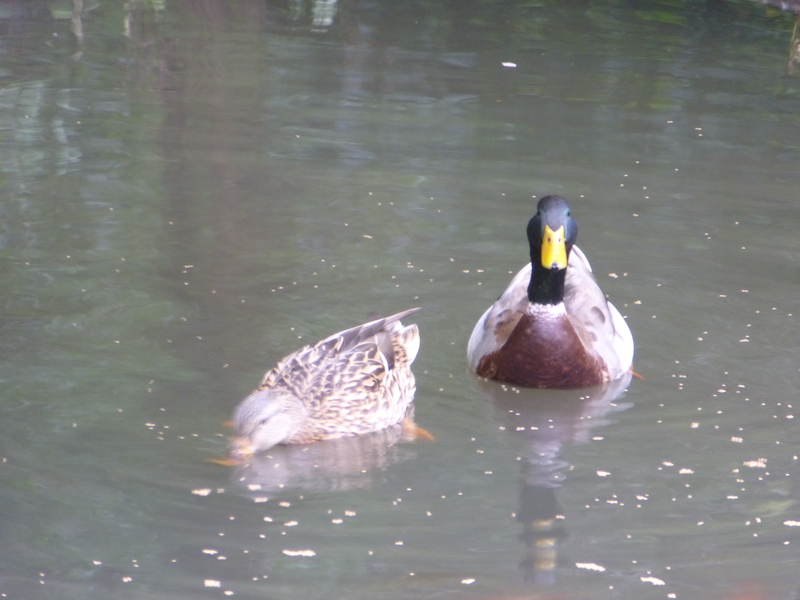 Finally, the pair feeding on duck pellets and a few mealworms. That loud roaring noise is amplified compared to what I can hear; it’s the water inlet for the pond, as there’s constant influx of fresh water and draining of old water. You get a good headshot of James at 33 seconds in. This entry was written by whyevolutionistrue and posted on October 1, 2018 at 2:30 pm and filed under ducks. Bookmark the permalink. Follow any comments here with the RSS feed for this post. Both comments and trackbacks are currently closed. Those are pretty big Koi fish!!! 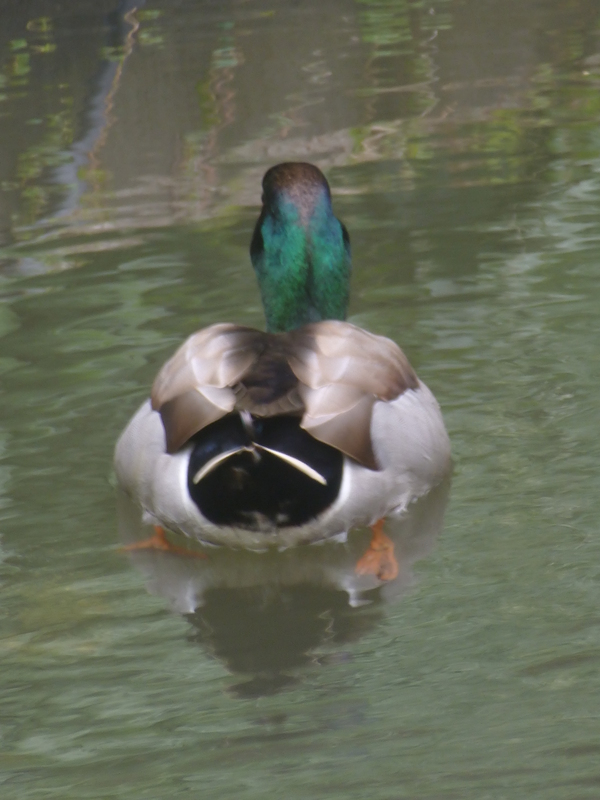 Great pics of the ducks! The videos came out good as well!! How lovely to see them like this. You have done so well Jerry. I will miss the updates once they are off on their migration. I do hope they return. When are you coming back to London? Winter is tough on koi! They can’t migrate. They can’t move to a warmer pond. They just have to hang out and freeze all winter long. Have some pity! Believe me–they get plenty of food! In Finland they do migrate do though not far, to Denmark or so. Oh stop carping on . I suppose that’s on a Smartphone – do such phones have s/ware that can be used to suppress or rebalance ambient noise [while recording or later on]? I recorded some video of birds using the birdbath recently with a C920 HD Pro Webcam hanging on a long USB cable from my PC & the recorded audio noise was an eye opener. Stuff I couldn’t hear at all while outside was clear as a bell when I listened later: kids playing two streets away, an indoors neighbour opening a can of beer/cola. I guess I need an external directional mic for best results, but perhaps there are cheapo cameras with mics that are somewhat directional? Nope, that was taken with my Panasonic Lumix point and shoot camera. Those dark fish are awfully big to be Gambusia. All the fish appear to be goldfish. I agree. The blackish ones are ordinary juvenile goldfish. If any of the fish have whiskers, then they’re probably koi. When I die, I want to be reincarnated as a duck in Jerry’s pond.